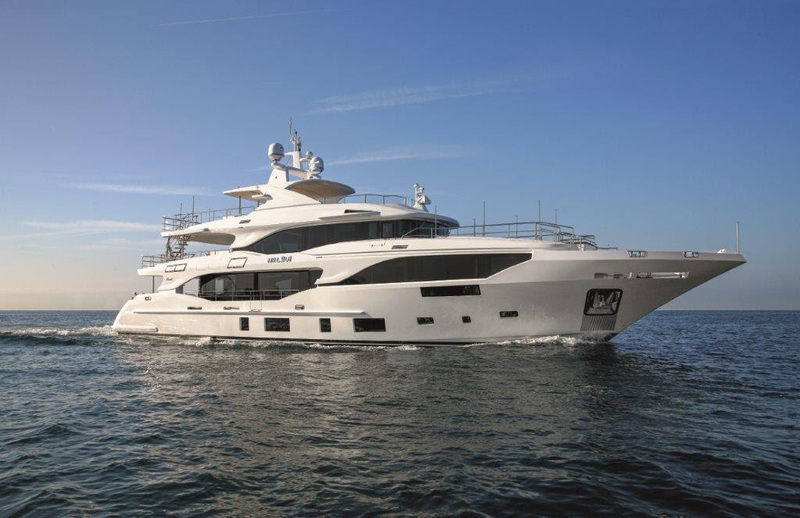 Italian yard Benetti has delivered the 35.5-meter motor yacht Mediterraneo 116’ christened by the boat’s Mexican owner as Mr Loui, Yacht Harbour reports. Boasting her streamlined exterior by Benetti long-standing partner Giorgio Maria Cassetta, this fiberglass and carbon fiber vessel belongs to the Classic range of semi-custom medium-size superyachts. In accordance with the owner’s request for more outdoor social space, Mediterraneo 116’ features a sundeck of over 80 square meters with two dining areas, as well as a lounging and sunbathing area. As for the yacht's interior layout, it was designed in-house in cooperation with a Mexican architect Ezequiel Farca. Accommodation for up to 12 guests is split across five cabins, including a full-beam master suite with panoramic windows located on the main deck, two facing each other VIPs and two guest cabins on the lower deck. The crew’s quarters offer accommodation for up to 7 members. Natural light, coming from large glazed surfaces, floods the roomy lounging and dining areas. A lift for four people is there for major ease and accessibility of life onboard. Mediterraneo 116’ Mr Loui is powered by twin CAT ACER C32 Rating D engines, each delivering 1.600 hp. The top speed reaches 15 knots and the cruising speed stands at 14 knots, while the yacht’s range at 10 knots is 3.000 nautical miles. The first hull in the series named Oli was built in 2016. At this point, Benetti Mediterraneo 116’ line boasts a record of four boats sold.